I don’t want to spoil it, but I think at the end of the second movie, people will find out that the two movies stand on their own. They’re very different from each other, although hopefully bringing the same joyful giant spectacle. As far as new things to expect, del Toro confirms they’re “creating some new jaegers and a lot of new kaiju,” which, honestly, is enough to get me invested in this. I wasn’t as impressed with Pacific Rim as I wanted to be, but it was still a rollicking adventure, and if Hellboy 2 taught us anything, it’s that this man knows how to ratchet things up for a sequel. Also, any new characters that get added will follow suit in the multicultural department, hopefully with more women this time. It’s a pretty fascinating interview in other ways as well, as del Toro touches upon the possibilities of his long-gestating At the Mountains of Madness adaptation and his upcoming FX series The Strain. 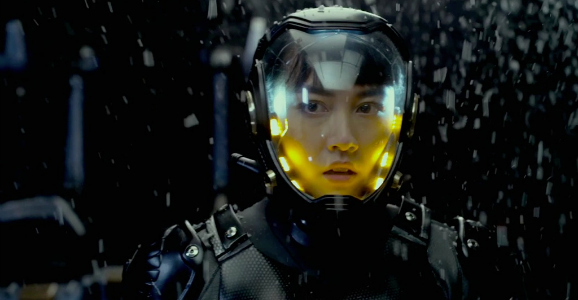 He also makes mention of the Pacific Rim animated prequel series, though nothing too newsworthy comes out. According to del Toro, it takes around nine months to flesh out all the design work needed for a movie of this scale, so we probably won’t see Pacific Rim 2 hit production until late 2015 at the earliest. Which also means it’ll be a long time before we get any news about the story or casting. Do you guys think these giant freakiin’ robots will be worth the wait? Also, let’s place our bets on what the first rumors are going to be. 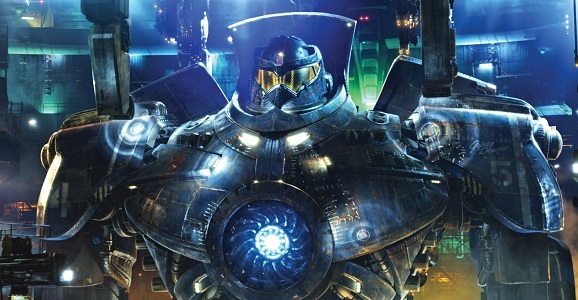 I’m looking forward to the animated series because Pacific Rim felt like the last of a trilogy. And I really want to see more of Cherno!